The aforementioned is the very argument that is used by those who seek to destroy the APBT breed, including through legislation. IMPORTANT: Judges must first turn their attention to temperament, compliance with the standard and health, and only after that do the placement in the breed ring. 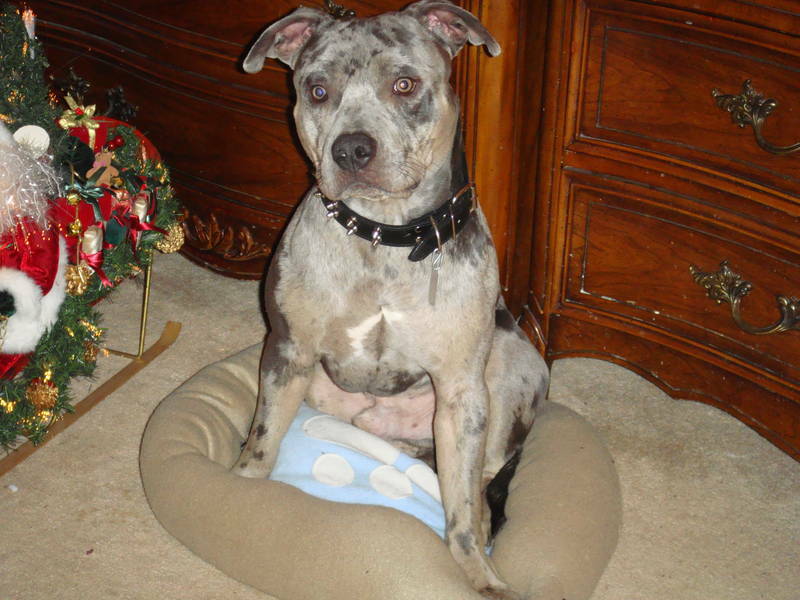 Pit bull temperament is the most important aspect of the breed. THE STANDARD SAYS: the inherent characteristic feature of APBT is power, self-confidence and an interest in life. Expertise: Temperament is essential and is the most important aspect of the breed. The content of the above excerpt from the standard (underlined line) can be called in one word – IMPORTANT. This means that the main thing in breeding American Pit Bull Terriers is getting dogs with a breed temperament, friendly and interested in what is happening, but not their appearance, head shape, size or movement. Self-confidence is a must! Puppies may be nervous and surprised at new things, but should never be afraid or shun an expert. Adults pit boules who experience any fear or aggression against a MAN should be disqualified, and judges should note this in the description. For the benefit of our breed, the experts should without hesitation remove the dog from the ring (even a puppy of 6-12 months), which is afraid of people or aggressive to people. Our breed is in mortal danger, because too many cowardly and aggressive to human dogs are used in breeding. People do not realize that temperament is 80% (some say more) genetics. 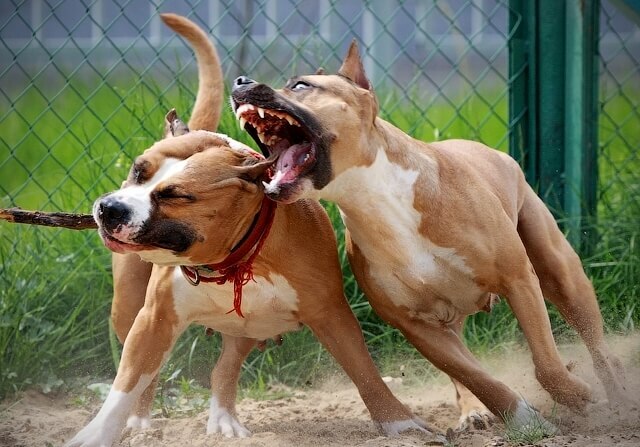 Aggression to a dog is a feature of most terriers, including APBT. 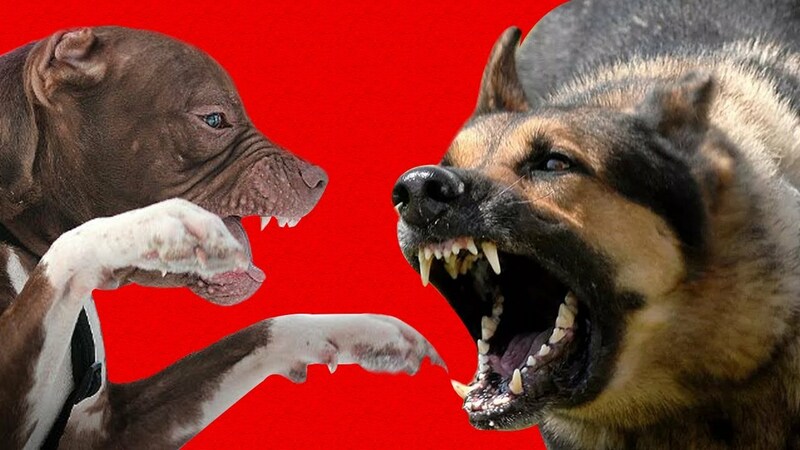 HUMAN Aggression – MUST NOT be present in APBT in any manifestation. Every pit bull that demonstrates any kind of aggression towards a person, except for situations connected with saving the lives of their owners, must be euthanized (put to sleep). Because am.Pitbull is not a service (guard) breed and should never demonstrate such behavior. Handlers are required to control their dogs. Dogs must be trained and socialized sufficiently so that they can safely be at a crowded exhibition, not posing a danger to other animals. Any dog ​​exhibiting aggression towards a person, regardless of breed, must be euthanized. (This does not apply to dogs participating in working (sporting) competitions (Schutzhund, IPO, Mondioring, etc. ), due to the fact that they show only controlled aggression towards the dress. Dress, but not to the person). This breed is attentive and fearless. The expert should mark for themselves dogs possessing “courage” (eng. C ourage – fearlessness, fearlessness, courage). Such a dog, despite possible exterior defects, should have ADVANTAGE in front of an exteriorly correct dog, but not possessing similar behavioral features. This clearly demonstrates how important the pit bull temperament is for the future of this breed! They are terriers and should behave like terriers! Outcome: The standard notes that the main feature of the breed is courage and interest in life. APBT should be “LIVING” and NEVER-NEVER AFRAID !!!! The Pit Bull Terrier, even at a puppy age, should meet new people with a “happy smile,” joyfully wagging his tail. Adult dogs may look calmer on the outside, but they will instantly focus on an expert or something interesting. 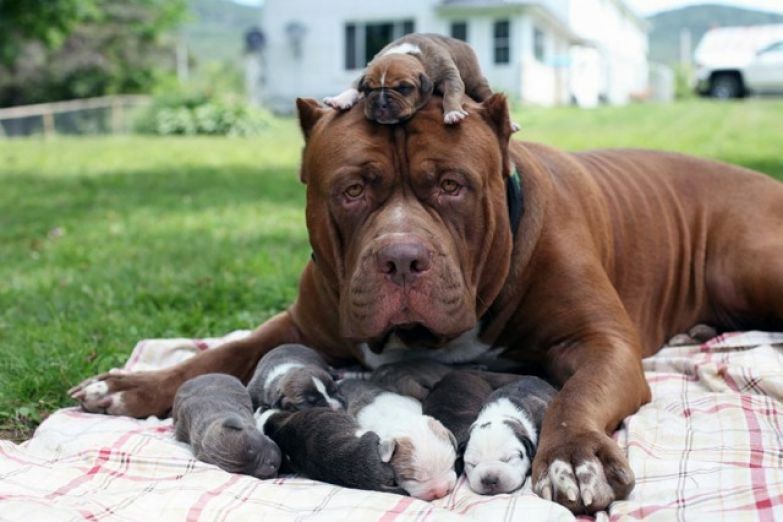 Pit bulls are excellent companions and family dogs and have always been distinguished by their love for children. 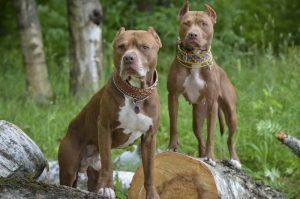 Due to the fact that SOME PETROULTERS can show aggression towards other dogs, the acquisition of a pit bull is not recommended for people who are not sure that they will be able to competently socialize and raise a dog. 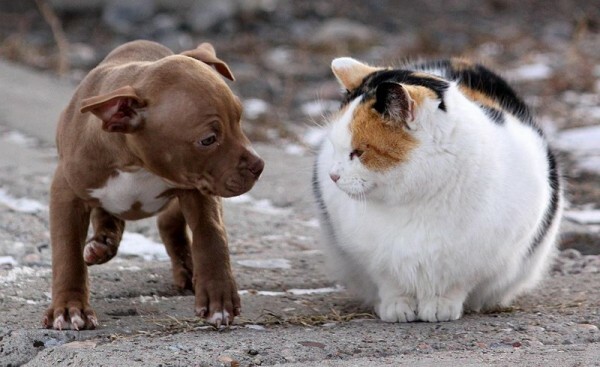 A pit bull is not the best choice as a guard dog due to extreme friendliness, even towards outsiders. Aggression to humans is not characteristic of the breed and is highly undesirable. ATTENTION!!! Dogs nervously barking at a person who looks strange, fearful or threatening should be disqualified. Pit bulls only in EXTREME situations may try to protect their masters, but if this happens, they will do it better than any other breed. There are many more stories about pit bulls saving lives than those about pit bull terriers who killed a person.